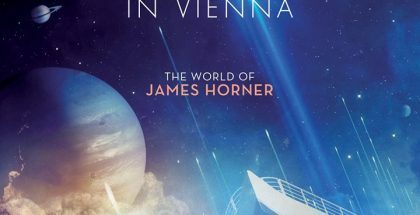 Here is a small return on James Horner's activities in Vienna as part of the Hollywood in Vienna festival. On Wednesday he attended the rehearsals of the concert conducted by David Newman before going to the Max Reinhardt Seminar where he answered to questions from Robert Townson and from the public for two hours. The Thursday morning was devoted to interviews in the Sofitel Hotel. On Thursday evening during the first concert he was seen at the balcony taking pictures of the show. Then he appeared on stage to give a speech at the end of the part that was dedicated to his work. He was very moved by the splendid standing ovation that the audience gave him but also when Deborah Cox came close to him singing the first verses of If We Hold On Together. "I'm so honored to be here tonight and to have you here tonight. This is something I never do, I never do concerts, I'm very private, very shy. I do my job and go home at night and try and just put everything out of my head and then back to work the next day. To come to a concert like this is so amazing for me, to watch you all watching the music, it's an experience I've never had really before, and I just can't thank you enough for coming tonight and being part of this. 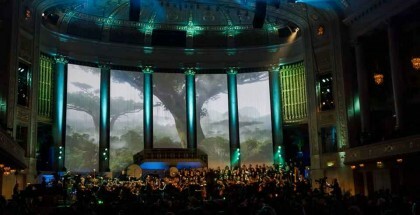 I want to thank the whole orchestra for doing such a wonderful job. Just thank you Vienna for just taking me into your hearts and letting an evening like this happen for me, I just can't thank you enough, thank you so much." "A lot of this music you know, in my work I tend to write and then I just move on to the next project. 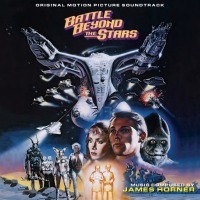 I never even go to see the films and it's so amazing to hear so much James Horner stuff in one go, it's not like this for me and I forget the names of pieces I've written and the names of songs. It's really just so incredible to do something like this, and it's something I so rarely do. Again thank you so much and I hope you enjoy the songs, the performers are just wonderful, and again thank you." 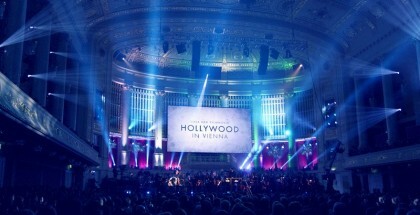 The Friday afternoon, after a cocktail at Sofitel, the composer arrived half an hour before the show for the red carpet (which was blue actually, the Hollywood in Vienna blue) of the Gala concert. 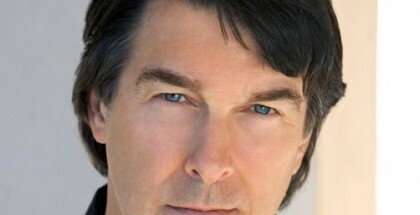 He came after the singers Ildikó Raimondi, Deborah Cox, Jeremy Schonfeld and conductor David Newman. 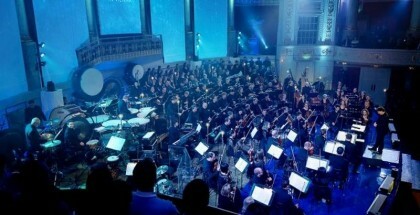 After answering the journalists who were there, he was escorted by two bodyguards inside the Wiener Konzerthaus. 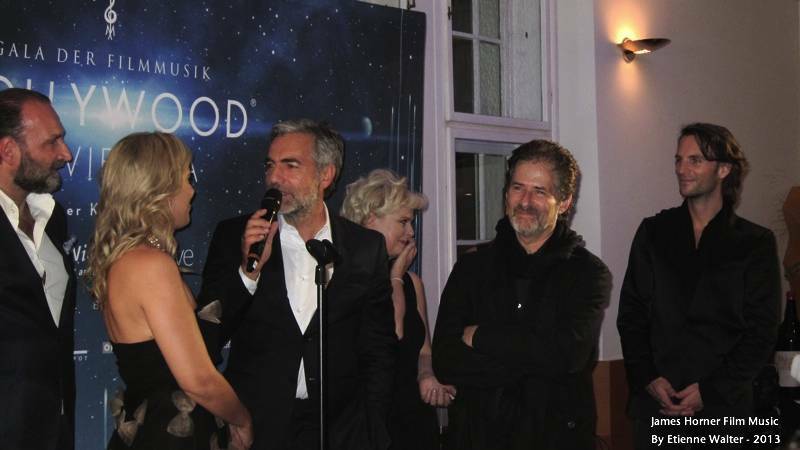 Present this time for the whole concert he could enjoy the applause that burst whenever his name was mentioned by actor and presenter of the evening Gedeon Burkhard. 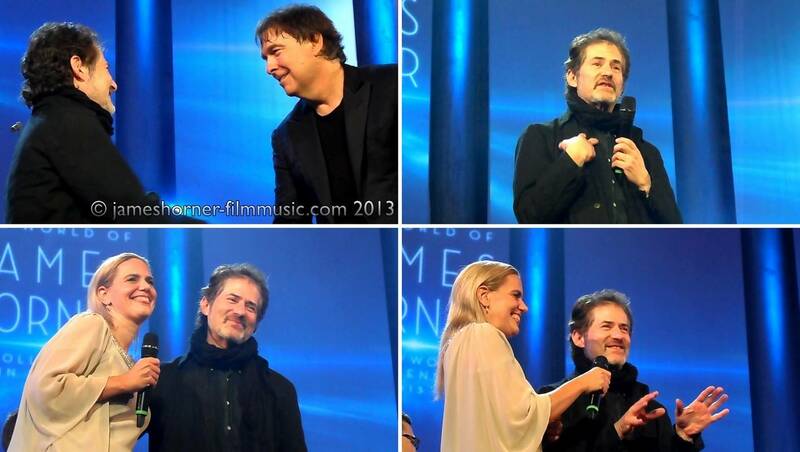 At the end of each piece of the part The World Of James Horner, David Newman turned to him. 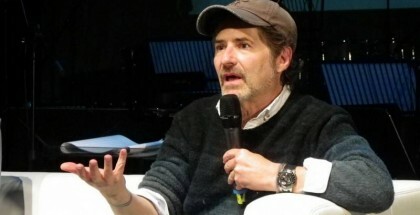 James Horner stood up numerous times to applaud the conductor and the musicians. After the performance of Titanic, Dr. Sandra Tomek, Managing Director of the event and Renate Brauner, Vice-Mayor and Vice-Governor of Vienna gave him the Max Steiner Achievement Award amid thunderous applause. "I want to thank everybody here tonight… so much… for inviting me, and welcoming me into the hearts of Vienna. And I feel so part of the city and its so important to me to be here. I'm so greatful and so proud of winning this award from you. It's unlike anything I have done before: I have been on a lot of award ceremonies obviously in my world and things like the academy awards you go in and you don't know what the evening will end up like, because you don't know whether you win, you lose and its all by chance, all of those kinds of things. This is the first time in my life when coming in there I knew I was going to win, and it was so nice! And I really, really would like to thank you so much again for what this means to me and the concert that you have put on because it isn't something I have really ever done before and its such an honor. I have to thank Sandra for putting this all together and David Newman for conducting the orchestra, the choir and the poor brass players; I write very difficult music sometimes. When they first started rehaersing it, I'm sure it was quite difficult for them. 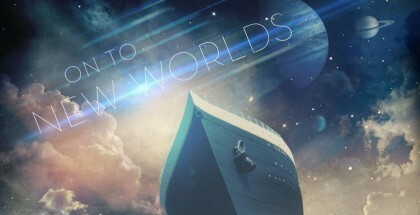 And I want to thank but I do deeply want to thank the orchestra for doing such a lovely job tonight. Thank you very much"
This emotional evening ended with the after-concert cocktail. The composer briefly showed up again thanking the festival organization, the work of David Newman, of the performers and of the orchestra. 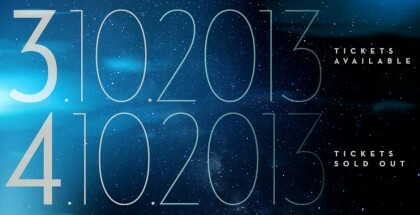 "I was just glad to be a part of this year’s event. And I want to thank David Newman over there, to go from the first rehearsal and he hears what I hear from where we are tonight is a great distance (à revoir car ça ne veut rien dire) and some people that are able to make it happen and some people that are not as gifted and cant make it happen but, David can so thank you so much. Vienna is a very special place for me, I have a lot of family ghosts here and to perform at a hall like this where so many great artists have come before me is just such an honor. 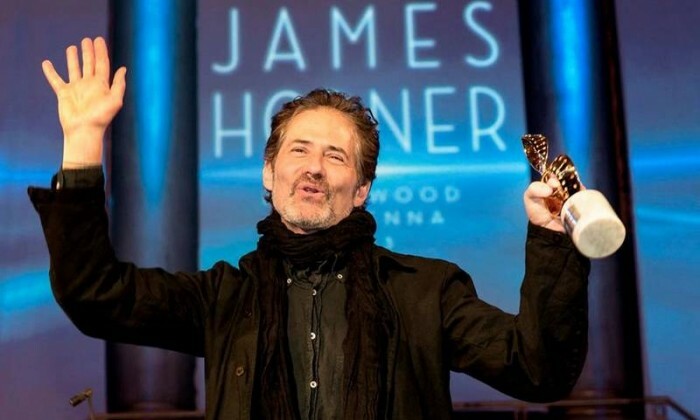 And the award you've given me tonight, Vienna's given me tonight, is such an honor for me."